Prologis, Inc., the global leader in logistics real estate, today announced fourth quarter and full year 2017 activity in Europe. 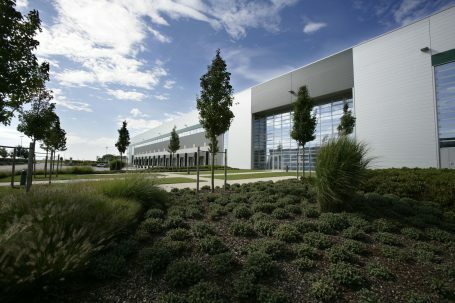 Prologis Europe ended the fourth quarter with high occupancy, closing the year at 96.6 percent. The company signed 384,000 square metres of new leases and 650,000 square metres of renewals in the fourth quarter. For the full year 2017, new leases and renewals comprised 3.9 million square metres. Accelerated demand on the continent and sustained demand in the UK led to the strongest year of net absorption on record: 8.6 million square metres, an increase of 27 percent over 2016. Supply of Class-A distribution facilities picked up, notably through supply in Poland and resurging development activity in the UK. In the fourth quarter, Prologis Europe started 15 developments in the Czech Republic, Italy, Spain, Slovakia and the UK totalling 216,000 square metres; 22 percent was build-to-suit and 78 percent speculative with 25 percent preleased. Over 2017, Prologis started 40 developments, totalling 917,500 square metres. In the fourth quarter, Prologis acquired €37.5 million of buildings totalling 55,000 square metres and three land plots totalling 134,000 square metres in Italy, Sweden and the UK. Full year 2017 saw a total of €116.9 million of building acquisitions spanning 134,291 square metres and 24 land plots totalling 1.96 million square metres. During the year, Prologis sold assets in the Austria, the Czech Republic, France, Germany, Italy, the Netherlands, Poland, the UK and Slovakia for a total of €545.7 million. Prologis streamlined and strengthened its European fund business in 2017. The formation of UK Logistics Venture (UKLV), a 7.6 million square metre portfolio, resulted in it’s first fund dedicated to the UK market. UKLV has a total expected value of approximately £1 billion GBP ($1.25B USD). The company also closed the combination of Prologis Targeted Europe Logistics Fund (PTELF) and Prologis European Properties Fund II (PEPF II) to create Prologis European Logistics Fund (PELF), an €8.2 billion sector-leading open-ended fund. These two highly complementary portfolios span 32,3 million square metres across 12 countries. In conjunction with its formation, S&P has rated the venture’s credit at A-.